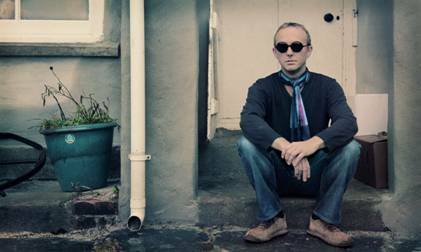 Steve Cradock is a mod man among mod men. Main man of Britpop modsters Ocean Colour Scene. Long time guitarist in Paul Weller's band. Mod street cred that most wannabe mod up and comers would die for. 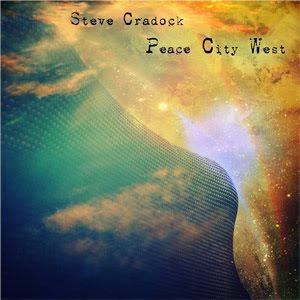 His latest release is his second, and by far best, solo album -- Peace City West. Cradock was a mod in the 80s, played in UK mod outfit The Boys, which is when he came to Paul Weller's attention and their lifelong association began. His big break came with Ocean Colour Scene's 2nd album, 1995's Moseley Shoals which became one of Britpop's earliest, biggest successes selling 3 million copies. Alongside Oasis and Weller the band helped to spearhead Britpop's claim to be the scene for the modern mods. If you dropped your needle down on Peace City West and let it bounce accross the vinyl you might have fleeting thoughts of Supergrass, Kinks, Small Faces, and early David Bowie. Interestingly the one thing that didn't come to mind for me was Ocean Colour Scene. Peace City West isn't perfect, but it is damn close. Cradock shows himself to be the kind of singer songwriter that Noel Gallegher and Paul Weller probably have always known he was. The songs are smooth, both lyrically and musically. None are deriviative, this isn't retro or vintage. Cradock doesn't dwell in the past as much as builds on it. His songs are evocative of the best of the sixties, sometimes psychadelic like in "Kites Rise Up Against The Wind", and at other times with a nod to the sixties styled power pop mods love so much as with "I-Man". The chorus has Who like guitars ringing out and you can just tell that in a live show this would be a stripped and ripped number. So many songs stand out on Peace City West it's hard not to mention them all. From the opening "Last Days of the World" with a jangleness that resonates, to the jaunty "Little Girl", Cradock shows off a Welleresque kind of writing and guitar work, and a sort of poppishness you can't not fall in love with. Overall it's very much a product of an old soul, a sixties soul, but one that is still a bit mired in Britpop. Just listen to "Only Look Up When Your Down. Beatles anyone? Cradock channels Lennon and McCartney pretty perfectly there. And "Steppin Aside" -- it's a bit less sixties and a bit more original, with nice guitar work that signals a real change of pace for what probably would have been considered side two some 40 years back. Cradock has produced a thoroughly mod album, something you don't find much anymore. You will enjoy it from opening groove to closing chords.